Royal Panda is back with another epic bonus spins promotion where you can pick up Royal Spins: valuable bonus spins that are worth £2 each. Explore the magical school in Witchcraft Academy, and conjure up some really huge wins with up to 75 Royal Spins in your arsenal! NetEnt’s Witchcraft Academy slot has been exclusive at LeoVegas for some time, but it’s now finally being released at most online casinos, including Royal Panda. That’s a great thing, because it’s a really fun and unique slot that features wins that pay both ways, stacked wilds and a thrilling bonus game. If you want to check out Witchcraft Academy for yourself, head over to Royal Panda where you can pick up bonus spins every day from Wednesday until Friday. Deposit every day to get up to 75 Royal Spins - worth a total of £150! Help the wizards of Witchcraft Academy unlock the secrets of the dungeon by hitting three scatters in the base game. Note that bonus spins and Royal Spins have a wagering requirement of x35, click through to Royal Panda to learn more. The world cup is right around the corner, and Royal Panda has prepared a ton of different sportsbook promotions for those who are looking to spice up the matches even more. But the team hasn’t forgotten about its casino players, and as always you can claim the weekly bamboo bonus this Friday. 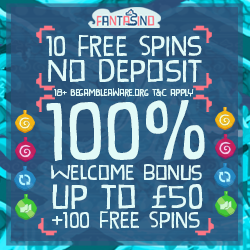 Start your weekend with a 50% bonus up to £150 by activating the bonus from the cashier and completing the deposit. The bonus is available at Royal Panda every single Friday, so you always have something extra to look forward to once the week finally comes to an end! The bonus has a wagering requirement of x35. Don’t forget about Royal Panda’s Lucky 21 promotion: on the 21st day of each month, you could win £210 in real cash if you manage to hit a blackjack at the Royal Panda Live Blackjack or Royal Panda Live Blackjack VIP during the day. Three lucky raffle winners will randomly be selected and announced on Royal Panda’s Facebook page!